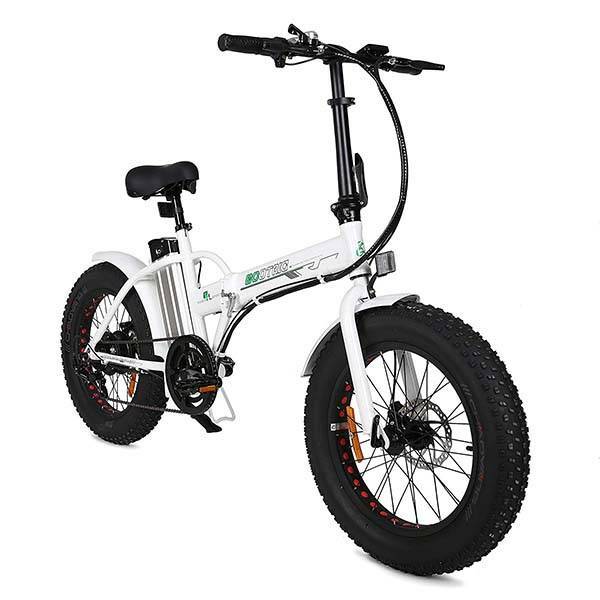 Using two 20″ fat tires the Ecotric all-terrain folding electric bike allows you to challenge various terrains. Like the design? Let’s continue checking. This is a well-designed all-terrain electric bike that weighs 55.1 pounds. As we can see from the images, the eBike sports an elegant, sport-style appearance design, while two 20″ fat tires bring some rugged aesthetics to the eBike. Meanwhile, its alloy aluminum frame delivers a durable and strong construction, and the foldable design allows you to easily put it in your car’s trunk for any trip or store in any corner of your house for easy storage. 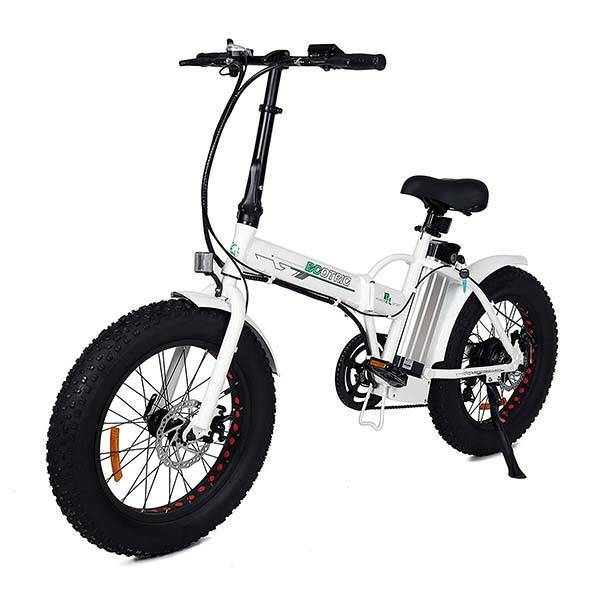 The foldable electric bike comes equipped with a 500W brushless geared motor and a 36V lithium cell battery pack in order to offer a top speed of 20mph and support 6km constant speed cruise. 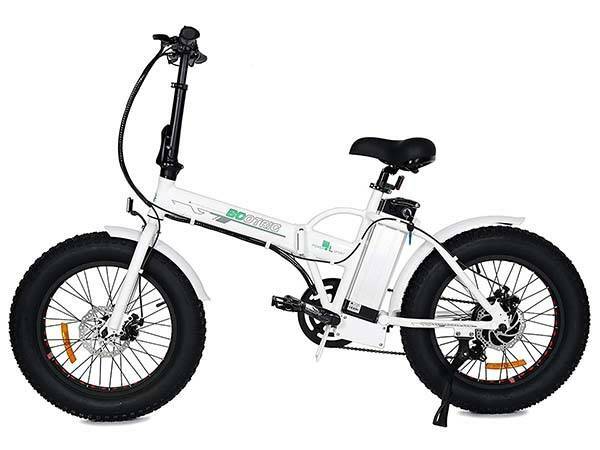 Furthermore, the eBike also comes with Shimano external 7-speed gear and 1/2 twist throttle for various speed control. The front and rear disc brakes protect you from some accidents on the road, and a LED display has been arranged on the handlebar to show you the main info of the eBike. The all-terrain folding electric bike is priced at $790 USD. If you’re interested, jump to the product page for its more details.